For those who are fans of the Mazinger franchise, or Go Nagai's work, Mazinkaiser is en entertaining and easy to watch 7 episode mini-series. 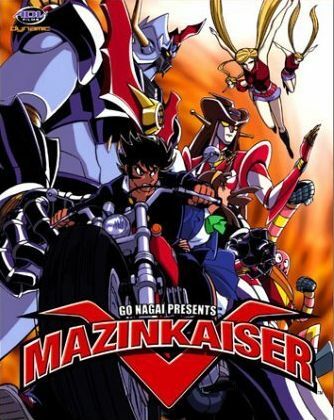 The plot of this series is centred around Kouji Kabuto, the pilot of Mazinger Z, and his battle to defeat the evil Dr. Hell. After an intense battle with Dr. Hell's iron machines, Kouji is thrown from Mazinger Z and missing in action. 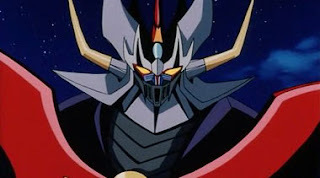 Baron Ashura modifies Mazinger Z and adds it to their forces, leaving Tetsuya to defend the Photon Lab with Great Mazinger all by himself. 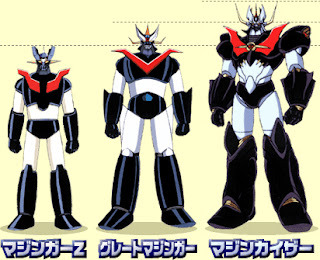 During the fight Kouji makes a miraculous return in a new Mazinger called Mazinkaiser, which turns out to be the ultimate Mazinger developed by his grandfather Dr. Kabuto. 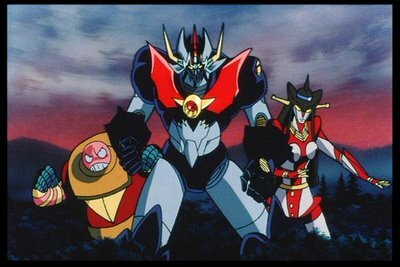 After Great Mazinger is put out of commission for the remainder of the series, it is up to Kouji to track down and defeat Dr. Hell and his army of ghost iron machines. There were some great elements in this show, one of my favourite being the art work. The character design was very much reminiscent of Getter Robo Armageddon and New Getter Robo. Characters such as Kouji and Tetsuya had a very raw look to them but also at times comical. With the animation style being so close to the newer Getter Robo series, there were many instances where I would mistake Kouji Kabuto for Ryoma Nagare. 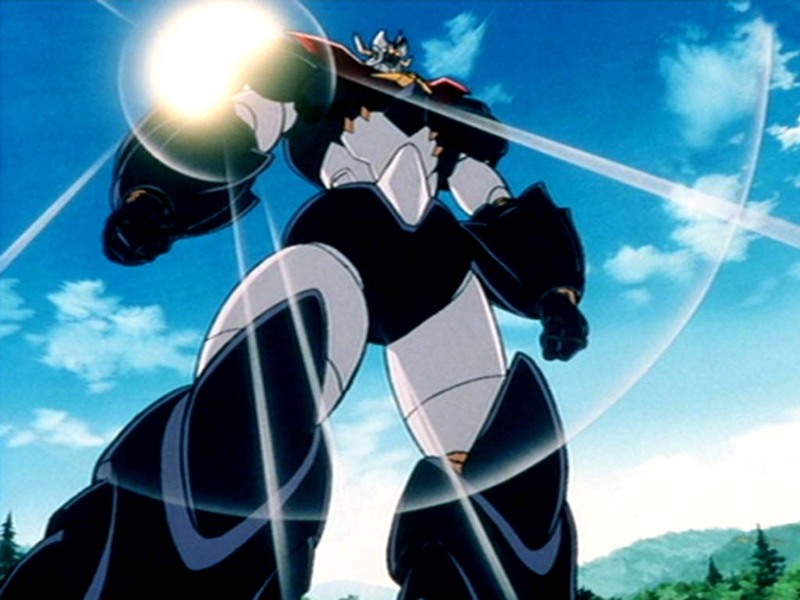 The concepts for the giant robots in the series were unique as would be expected from a Go Nagai work. The soundtrack for this series was quite good. The music really set the tone for the show, and since there were a lot of action scenes, the music was full of energy which made the show very entertaining to watch. In my opinion where the music had the strongest presence was the return of Great Mazinger during the final battle. As a viewer this was something you knew was going to happen, I was just glad to see that they really used the music to build up the bravado for the entrance. Overall, this was a great series to watch. While it was short at only 7 episodes, the story was full of action and quite easy to follow. 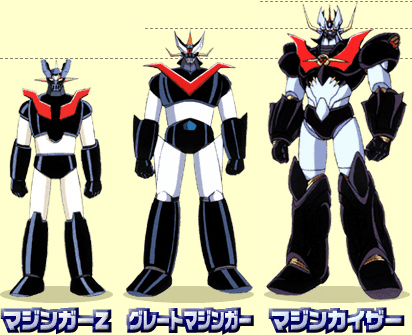 Having still not watched all of the series in the Mazinger franchise I was a little wary about picking up a newer series before watching the predecessors. Having said that, you can safely pick up this series having little to no knowledge of the originals. In fact, if you haven' watched the predecessor series, this may peak your interest to take a look at them. Copyright Silent Divergence 2013. Powered by Blogger.